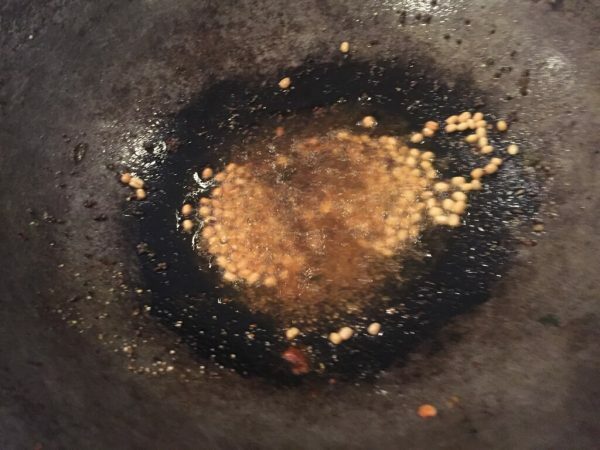 A simple curry, ready in the time it takes rice to cook. Doesn't need many ingredients. 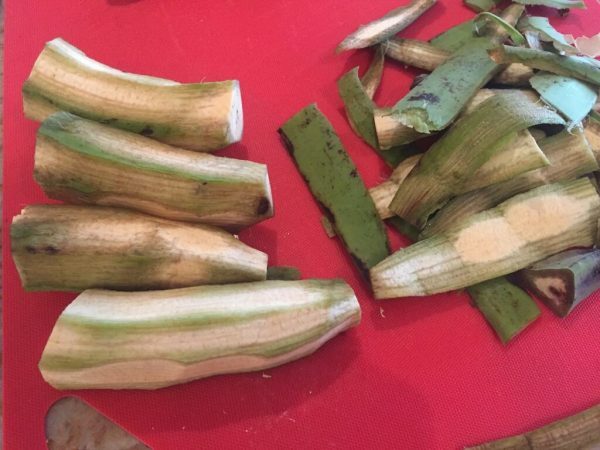 Peel the plantains carefully after chopping the ends off - a knife works better than a peeler as the peel is somewhat thick. 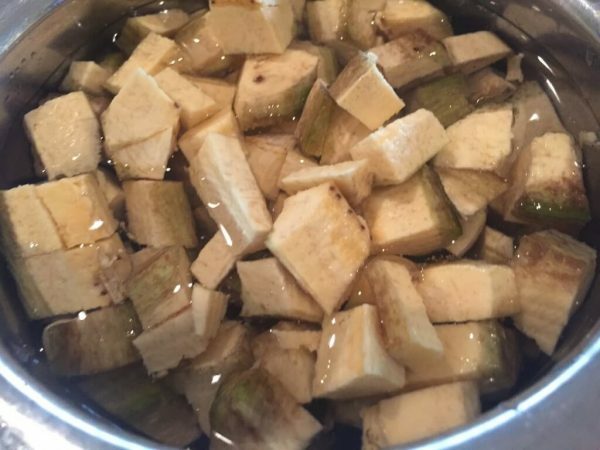 Chop into cubes of even size, and put them in a bowl of water to prevent discoloring until ready to cook. Turn the heat to medium, and cook, stirring every couple of minutes or so, to prevent them from sticking to the bottom. Plantain will stick to the pan if left unattended for a few minutes. It cooks pretty quickly, roughly 7-8 minutes. Turn off the heat, and enjoy with sambar rice/rasam rice or yogurt rice. 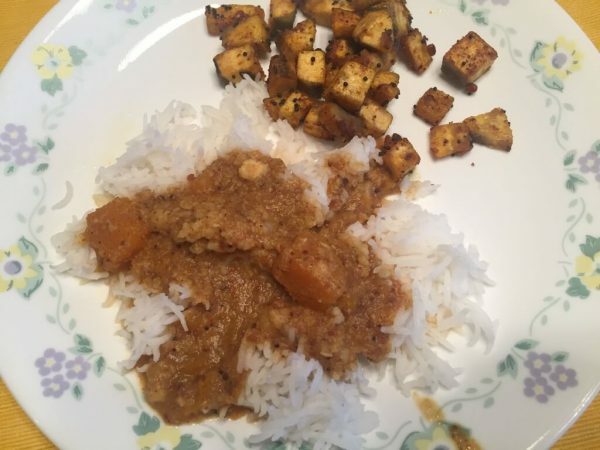 Here, we had it with yellow pumpkin sambar and white rice! Cooked plantain does not keep well for more than a day or two in the refrigerator (typical for all root and starchy vegetables), so make it in quantities that can be used up in a day or two at the most. 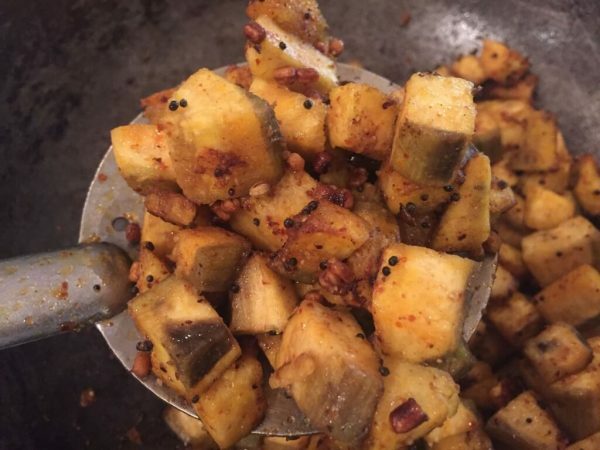 This same recipe can be used for a number of vegetables, with varying cooking times. 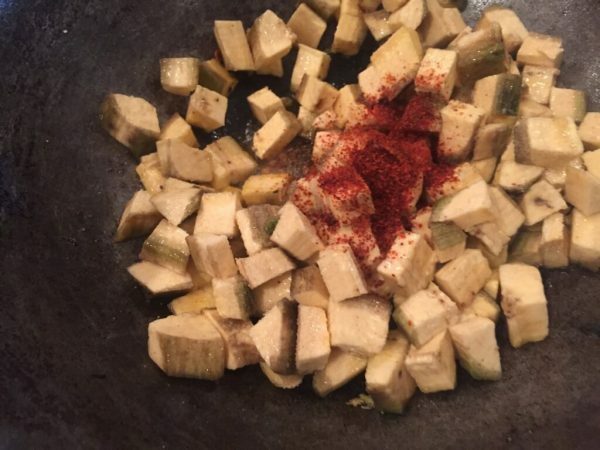 Some other vegetables with the exact same recipe and cooking method are okra, potatoes, tindora/ivy gourd...they are simple one-spice (chili powder) curries that only differ in how long they need to be cooked.